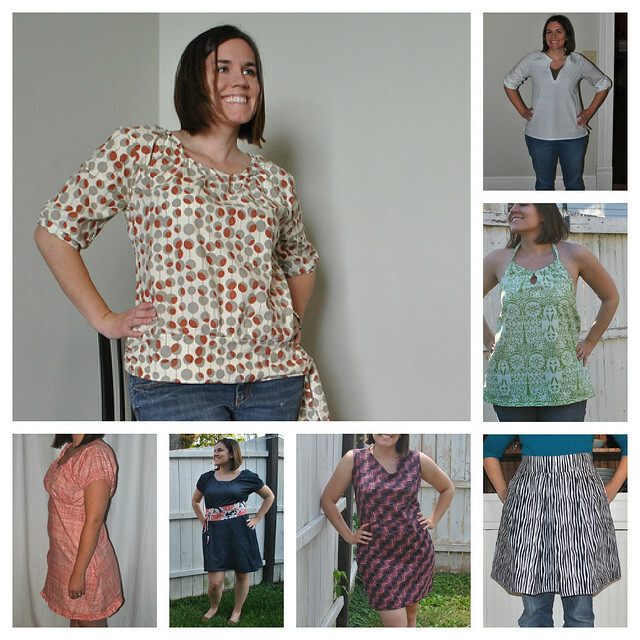 It's this time of year that I like to look back at my sewing and see how I did with my crafty resolutions. When I look at my list of goals for 2012, I think I did pretty well! I wrote my first quilt pattern, sewed some shirts for myself, branched out into free-motion quilting and even avoided last year's sewing-related injuries. My husband said I should tell you all about a goal I set for 2012. I didn't blog about it, because I didn't want to sound all... you know. But I think it might be encouraging to some of you, so I'm just going to put it out there. I made a goal to myself that I would write 10 sewing patterns in 2012. I didn't write about it, but I thought about it, a lot. Well, wouldn't you know it, but I just finished writing my 10th pattern for the year, plus another 12 tutorials for Craft Buds. Crazy! So, whether or not you believe in setting New Year's resolutions, I hope you'll consider the power of setting some measurable goals. It has really made a huge difference for me, when I've been feeling "stuck" in a rut, to have something creative to work toward. Kicking off Craft Book Month at Craft Buds. I look forward to this event every year! Sewing and quilting. It was the year of the shirt! It was also the year of conquering free-motion quilting. In 2013, I'm excited to . . . 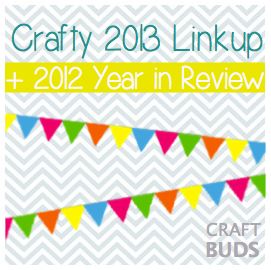 I'm linking up this post over at Craft Buds, for the 2012/2013 link party. It would make my day if you'd join us! 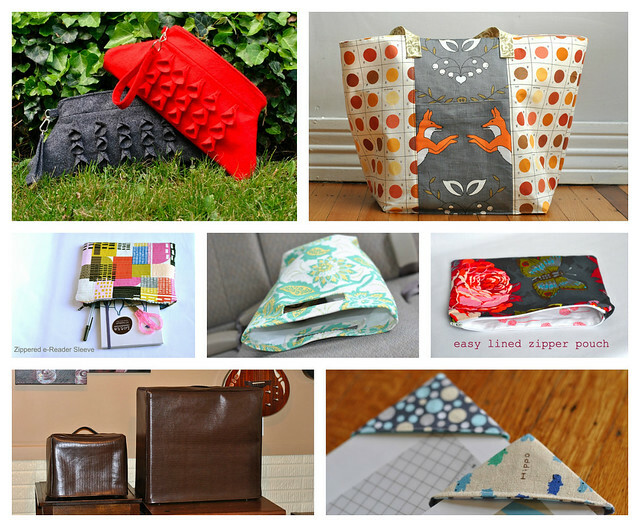 Have you made some sewing or blogging goals for 2013? I'd love to hear what you are hoping to learn, make or do in the new year. 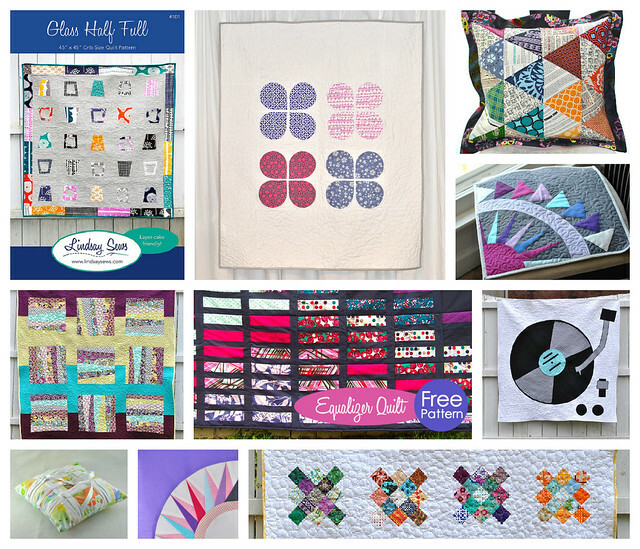 I'm excited to sew my first large quilt in 2013 and host a Quilt-Along on my blog. I also look forward to writing/releasing more pdf patterns. I hope 2013 is everything you hope it will be! Sounds like great years past and future! I have a plan to write up some patterns this year, but I've been cleaning and found rather an embarrassing pile of WIPs that I might have to get at least some of out of the way first! So many wonderful projects!! Great job with your goals! Can't wait to see what you have in store for next year! YOU are the person who did the City Center zip pouch! I had seen this somewhere else and was just today thinking I want to do one just like with that fabric and everything. Your finishes are fabulous - can't wait to see what you create in 2013! Way to go Lindsay! You have accomplished a lot and been a big inspiration to me throughout the year. Keep it up! !